You have just used the bathroom and are now going to wash your hands. You turn on the hot water tap and wait…and wait…and wait, for the hot water. The problem is that the hot water tank is likely a long way from the sink and the pipe is filled with room-temperature water. You have to expel this water before the hot water comes through the tap. If you did wait for the hot water, you use it for a few seconds and then shut it off. You now have a pipefull of hot water that is going to reject the heat back into the house. Not so bad in winter, but not good in summer. 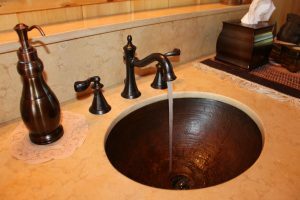 Unfortunately, houses are built generally to be as cost-effective as possible and having instant access to hot water at all taps is not considered high on the list of amenities…probably because most people likely do not see it as an issue. However, if it does bother you, there are solutions, depending how bad your situation is. Clearly, in hotels and apartment buildings, you would not be expected to wait for hot water to come from the basement to your 14th-floor room, so they use circulating hot water in insulated pipes so that the taps are never far from a source of hot water. This can be done in a residence also…you just need to loop the hot water line back to the tank, insulate it and provide a fractional horsepower pump to keep the water circulating. This is not always feasible in existing homes, but another method more appropriate for residences is the heat-trace method. You essentially attach a self-regulating heating cable to the hot water line along its whole length (or as much as is accessible) and insulate over the top of it. If you intend to use this method, your electrician will be able to advise you on the proper cable. The self-regulating cable heats up until it gets to 120°F and then maintains that temperature. Essentially, you are extending your hot water supply beyond the tank to the end of the heated line. Naturally, there will be some energy penalty for this, but this is slightly offset by the waste in hot water when you run it until hot water arrives. When I speak to people about this issue, most have found their own solution…like turning on the shower and then setting about doing other ablutions before taking their shower…another significant waste of water. For me, it is the wait state that is annoying…its like waiting for a Webpage to load and staring at that little circle going around and around and around. We pay for speed in many of the appliances we use, but seem to be prepared to wait for hot water. If you have this situation and want to wash your hands, better not to turn on the hot water tap unless you are prepared to wait for the hot water. Either that or do like the guy in the shower, turn on the hot water tap before you use the bathroom, then it will be nice and hot when you want it.